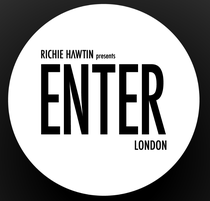 Richie Hawtin will exclusively showcase his award-winning ENTER. concept for 2013 at London’s O2 Academy Brixton on Sunday 5th May Bank Holiday Weekend. The event follows a hugely successful opening season in Ibiza, which earned Richie and his team three awards this year including the impressive ‘Best Night’ award at the Ibiza DJ Awards and ‘Best 2012 Party’ as voted by the readers and jury of the Vicious Magazine Awards.